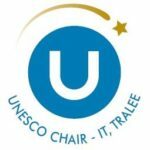 The UNESCO Chair was involved in the development of the BeInclusive Toolkit that was then published for the European Week of Sport in 2016. The #BeInclusive toolkit aims to support para-sport and disability-sport organisations to connect with the European Week of Sport, in order to inspire everyone to be more physically active in Europe. #BeInclusive intends to motivate people with a disability to be more physically active, and to encourage people to participate in sports together regardless of their individual abilities.